During the span of 10 days, a woman named Jill drove three of her elderly loved ones to a total of 18 doctor appointments; which meant approximately 19 hours of driving time, and spent at least double that amount of time in waiting rooms. Linda, a married mother of four, was the primary caregiver for her elderly father who suffered from severe depression and Parkinson’s. She cared for him in her home for four years, and after his death, her mother-in-law moved in. She spent another several years caring for her, all while juggling a secular job, volunteer work, and her family’s needs. As a result of stress, Linda eventually developed several chronic health conditions. These two examples are hardly unique. According to estimates from the National Alliance for Caregiving, more than 65 million Americans served as family caregivers for an ill or disabled relative in the past year. Research shows that while some people anticipate the challenges of caregiving, most families don’t know what to expect. Without the help of a qualified caregiver and a homecare system or homecare software to track important daily tasks, many seniors and their loved ones end up suffering unnecessarily. Barry Corder, a family caregiver, remembers one night when his mother called to ask him to pick up a 12-pack of Diet Coke. Although he was in the middle of coaching his son’s baseball team, he hurried to the store and delivered the soda – only to find that she already had several packs in her pantry. Such frustrating experiences became more and more common for Corder and his family. Being a caregiver – especially those of the “sandwich generation” who have children at home, is a stressful experience. It can be difficult to switch gears between caring for children and caring for older parents. "When you have a child, their lives do get better, over time, and you see the rewards," Peter Martin explains. "There is a lot of positive feedback offered to parents.” The opposite is often true when dealing with aging relatives. Fortunately there is good news for family caregivers. Working with a reputable home care agency that offers a homecare system or homecare software solution like ClearCare Online gives families the break they need while still staying completely involved in their loved one’s care. Caregivers update each daily task using ClearCare Online’s web-based homecare system and family members can view the updates via computer or mobile device. 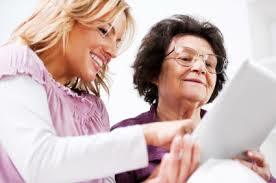 ClearCare Online’s homecare software is easy to use and designed to put families’ minds at ease. Even a short reprieve can be an incredible stress-reliever, so family caregivers are doing their health a huge favor when they make the decision to bring in outside help. And with ClearCare Online’s reliable homecare system and homecare software providing real-time updates, there is no reason to delay. Avoid unexpected caregiving challenges by reaching out for help today. And be sure to call ClearCare Online and ask for details on how homecare software can benefit your family.